Chief among them is junior Savannah Amato—the Delaware, Ohio native and reigning Ohio Valley Conference Female Field Athlete of the Week ranks 15th in the NCAA East region heading into the weekend. She looks to secure her third straight NCAA Preliminary qualifying mark, and will be pushed by the presence of teammate Dascha Hix, who sits just behind Amato in the OVC standings. Freshman Lennex Walker is slated to compete in the 100m hurdles on Friday, while redshirt freshman Maya Perry-Grimes slated for Saturday’s triple jump in Gainesville. 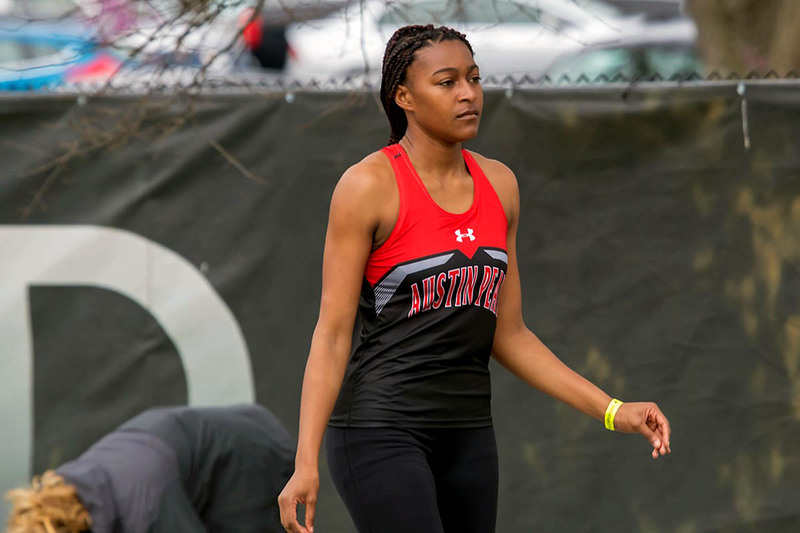 The duo also will represent Austin Peay as part of a large relays contingent, which see the Govs compete in the 4x400m (Allana Johnson, Sabrina Richman, Amelia Thiesing and Allysha Scott), 4x100m (Walker, Perry-Grimes, Tymeitha Tolbert and Diamond Battle), 4x200m (Battle, Walker, Thiesing, Richman) and 4x100m hurdle shuttle (Walker, Denia Hill-Tate, Kaitlyn Black and Kamille Dunbar), with the latter two events not mandated by the NCAA. The Florida contingent leaves but a handful of Govs to head to Southeast Missouri’s home event at Abe Stuber Track and Field Complex. The Govs will be well-represented in the distances, with a quartet led by Emmaculate Kiplagat slated for the 10,000m run, as well as Sophia Wilson and Sarah Carpenter in the 1,500m. Over in the field events, Danielle Craft and Ashleigh Woods look to give it a go in the long jump and triple jump, while junior Nia Gibbs-Francis should be one of the favorites in the high jump in Cape Girardeau. There will be no live results at Southeast Missouri, but a live results and live video link for Florida can be found at the top of this article and post-meet results and story will be found on LetsGoPeay.com.